Trade Show & Expo Industry Partners | Exhibit Promotions Plus, Inc.
"EPP staff's creativity on show site demonstrates a continuing willingness to be flexible which, in turn, keeps the exhibitors happy. We have a unique perspective of management firms that associations rarely see. EPP Is definitely “one of a kind” that makes business relations a real joy." "I always enjoy working with EPP. They really know what their customers need and are very good at explaining those needs to us suppliers. In addition they are efficient and detailed – great to work with!" "Our firm works with many event management companies, but has never seen an organization as focused as EPP on all the fine details of a contract to make sure their client association, attendees and exhibitors of a conference or tradeshow receive the “first-class” treatment. 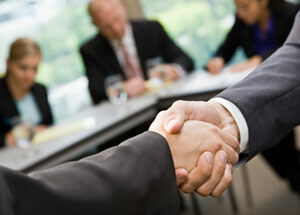 EPP Is the most easy going group t work with, and at the same time, professional and dedicated to their clients." "I personally appreciate the partnership with EPP. They do everything and anything they can to make it work for the customer and the end user." I have had the pleasure of working with the staff at Exhibit Promotions Plus over the past several years. EPP has always been a true partner to Hilton Worldwide Sales and a valued liaison between our properties around the globe. Their prompt follow up, attention to detail, depth of knowledge and strong customer relationships are evident with each interaction. It has been refreshing and enjoyable doing business together.